Age ain’t nothin’ but a number, or so they say, but in blogging terms – the age of your blog in relation to the number of subscribers you attract can either be a big deal or something you just don’t think about, depending on your goals. So, what’s the deal with numbers…. Personal/Casual Blogger: one who uses their blog to share thoughts, fun family pics & updates or to post pics of whats happening in their lives. 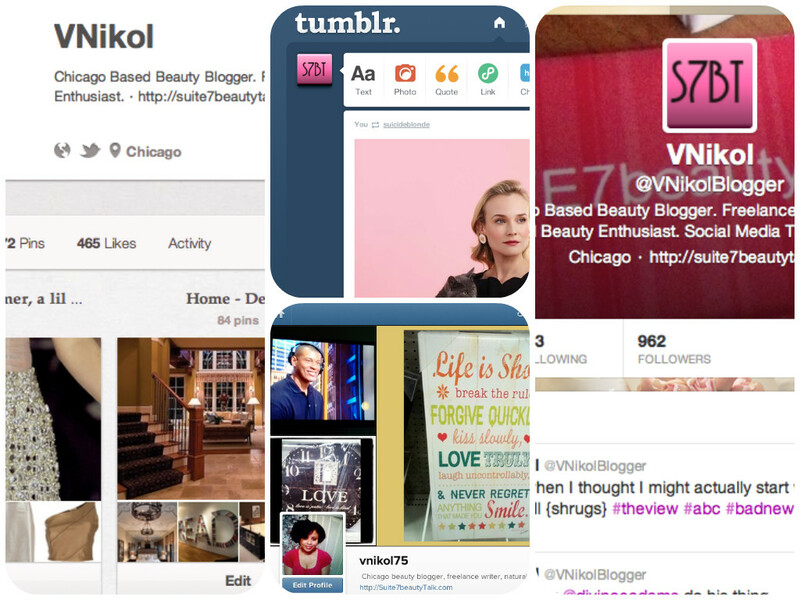 Professional Blogger: one who aims to transition their blogging passion into a profitable business. They host sponsors/advertising space, create a business plan or media kit and pursue brands/opportunities to partner/increase exposure. When I launched my former short-lived blog ☝back in 2006, it was casually launched & casually updated, as I had no real knowledge about blogging, and social media was still fairly new. 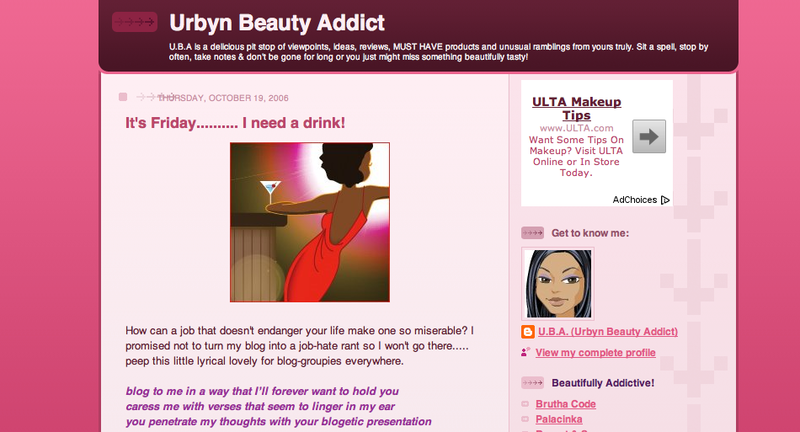 I had one blog, sans appendages because they weren’t really a thing back then. Honestly, I found it difficult to keep up with blogging given the stress of my job, so I certainly would’ve failed at having to update additional social media sites too! While I don’t obsess over the number of followers I attract, I do find it a little baffling how they vary so dramatically from one platform to the next. As I’ve researched & acquired a basic understanding of how social media works, I know the level of engagement required to grow each network. It really can become a full-time job. It takes effort and each platform has a different type of audience, therefore, how each one is used differs as well…. For awhile, I played the follow-for-follow game, which is fine if your goal is simply to increase your number of followers. It’s a bad idea if you’re a professional blogger looking to make connections or follow the tweets of those you admire and want to keep updated. A few months ago, I was in the never-ending midst of a major social media clean-up, which included a detailed review of everyone I was following and all the lists I’d created. I unfollowed lots of people & revised all of my lists, so now my Twitter feed shows only those I’m interested in hearing from. As a result, I lost a few hundred followers, but that’s fine with me – quality over quantity. Pros: Listing makes organizing Twitter a breeze. I’ve created and organized 20 lists – the maximum number allowed – which means I can log in and head straight over to my lists to read updates from a curated group of members selected by me based on topic. 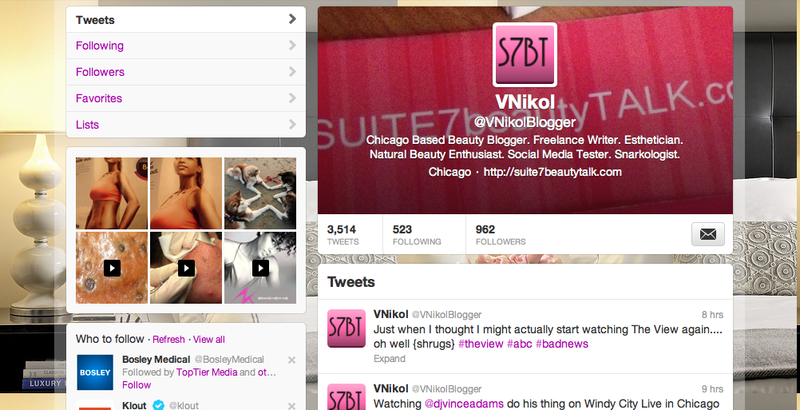 I can edit my lists & follow the lists of others too, without having to follow everyone on it. Twitter moves like an expressway, so it’s great to be able to organize it as I see fit. Cons: Twitter moves likes an expressway, and not at rush hour. It’s fast which means you will miss a lot, so lists and search options – gotta love that #hashtag – are real timesavers, along with social media tools like Hootsuite – another time, another post. By far, my favorite social media platform ever! It’s like a grown-up version of the high school locker – you get to pin everything you love to see – hobbies, subjects, crafts, fashion, home decor – you name it! Once held captive by magazine subscriptions, I canceled them all years ago & then had to manage the emotional detachment of trashing all but a select few. Wheew, harder than you think! Pinterest is like an online magazine where I’m the editor-in-chief and publisher, with thousands of boards to provide the layout inspiration for what’s next. I don’t pin nearly as often as I’d like or used to for that matter, but the pace is completely opposite that of Twitter, the same boards are always available, so users can repin all they’d like. 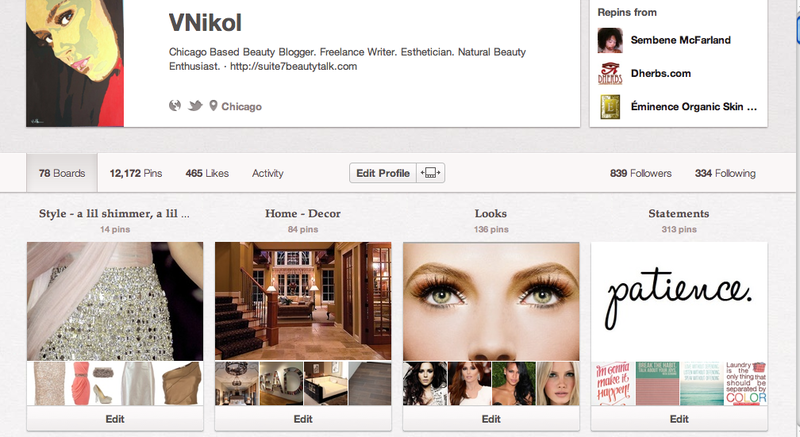 My followers multiply constantly, with my Marilyn & Nails boards remaining the most popular. Pros: The creativity and information available on Pinterest rival any I’ve found on blogs, and it’s not just for women – men & major brands are in on the action too. 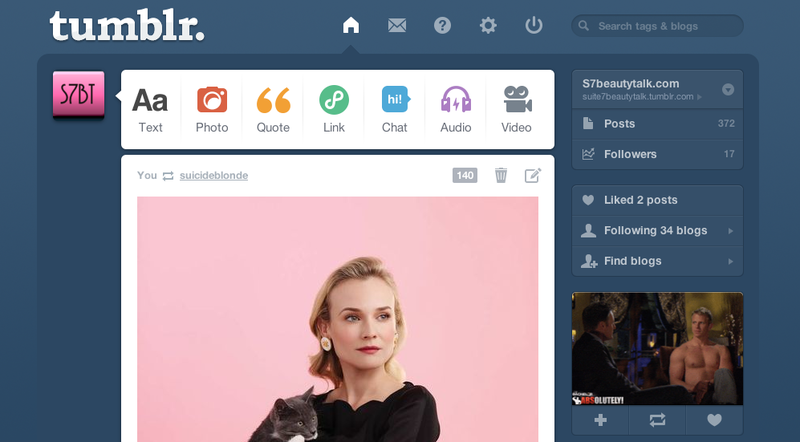 I’ve long been aware of but hadn’t given much thought to Tumblr, thinking it was more for kids. But that was before I discovered The Clean Beauty Blog, a great blog about eco-friendly beauty that just happens to be on Tumblr. So, I looked into it & decided to launch my blog’s presence there as well. It’s a little like Pinterest as far as reblogging posts that strike your fancy, but it’s a bit different – more visual less informative. Pinterest is more of a magazine, whereas Tumblr is similar to that of a pamphlet, comparatively speaking. It’s fun & compact though not entirely necessary. Pros: Easy to reblog and share posts. Lots of sources to search & follow. Cons: I’m fairly new to Tumblr, so I haven’t spent much time playing around with it just yet. Still figuring out its SEO (search engine optimization) secrets to determine how best to make it impact my blog. I’m so late to the Instagram party, but I just joined the technology upgrade about a month ago with my first smartphone, so I get a pass. I was hesitant to upgrade because I dislike the flat surface shenanigans that’s taking over the world. I need buttons and flip handsets in my life. But now that I have the gadget, why not play with the tools right? Enter IG. It’s only been a few months, but I like the voyeuristic peek of real-time pics taken & added in the moment. Plus, the downloaded apps with filters and collages are pretty fun additions as well. It’s a visual version of Twitter sans the list-making, but it’s super easy to use, and yet another way to attract followers for bloggers and big brands alike. Pros: Fast, easy and efficient photo-sharing. 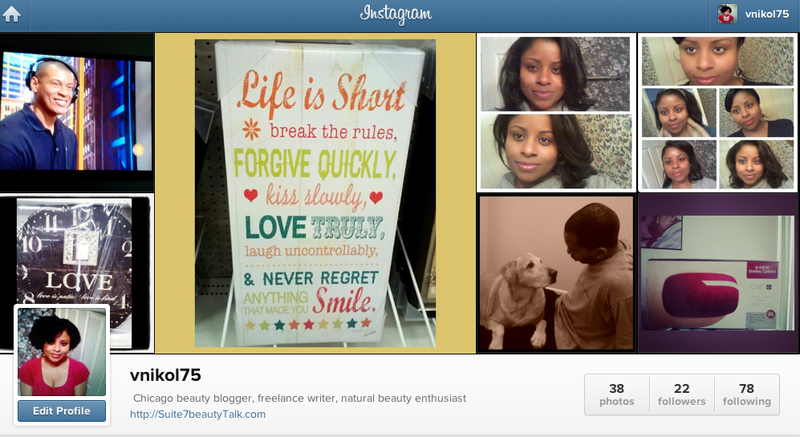 You can easily post any Instagram photo on Facebook, Twitter and Tumblr with the touch of a button. Cons: I haven’t really found any just yet, I don’t fancy myself a world-class photographer so it’s meeting my camera-ready social media needs for now. The moral of the story is: as a professional blogger, you’ll want to expand your brand’s presence to more than just your blog. Recently, I discussed a partnering opportunity with a beauty company and they immediately wanted to know what other social media sites I’ve established, so I was glad I had a list ready to go. Being social media savvy speaks volumes about how seriously you take your blog, and while typing up posts about favorite products, body scrubs and other beauty related topics may seem like fun & games – maintaining a full-time blog takes work. Why not make it count? This entry was posted on March 11, 2013 by suite7beautytalk in BLOGGING 101 and tagged Blog, instagram, Pinterest, Social media, Social network, Tumblr, Twitter.